Archer Daniels Midland Co (ADM.N) has struck a deal to sell a sugarcane ethanol plant in Brazil after searching for a buyer for four years, the agribusiness company said on Thursday. ADM will sell a sugarcane plantation and an ethanol distillery, which is capable of crushing up to 1.5 million tons of sugarcane and producing 37,000 gallons of ethanol per year, to JFLim Participações S.A. Terms were not disclosed. About 650 employees work at the plantation and plant in Limeira do Oeste, in the Brazilian state of Minas Gerais. “As our sole sugarcane ethanol operation in Brazil, this asset is too small for ADM to compete effectively in a challenging ethanol environment,” said Chris Cuddy, president of ADM’s corn processing business unit. 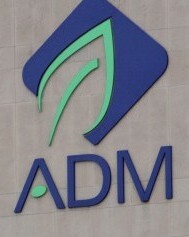 Chicago-based ADM has been trying to sell the plant in Limeira do Oeste since 2012. Last month, the company said it did not expect to restart the plant after a seasonal shutdown this year. Until a recent slight recovery in prices, Brazil’s sugarcane sector has been struggling through a multi-year bear market that has seen prices below cost of production in many places. Multinational groups like ADM and Bunge Ltd (BG.N) had scooped up mills in Brazil, the world’s top producer and exporter of sugar, on expectations of a burgeoning biofuels markets. But the industry has struggled with excess production and Brazil’s political uncertainty. ADM said its deal with JFLim Participações, which is subject to regulatory review, is expected to close in the second quarter of this year.